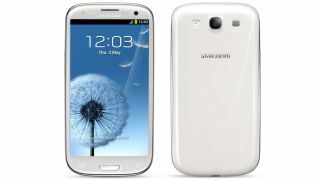 The Samsung Galaxy S3 has been given an official boost in the battery department with the Korean firm offering a 3,000mAh option. Battery life has lagged behind the rest of the technological advances in today's smartphones, with many struggling to make it through a whole day. The device performed well in our in-depth Galaxy S3 review, but this additional boost is still a welcome one even if it does compromise the size and weight of the handset. Building on the 2,100mAh battery that is stuck inside the S3, the 3,000mAh additional juice pack will set you back a rather lofty $64.99 (around £40/AU$62). A NFC chip is built into the pack, which also features a new back cover to house the super-sized battery. There's currently no word on how much extra life this new battery will give you, or how much additional weight it will add to your 133g device, but once this is clear we'll let you know.